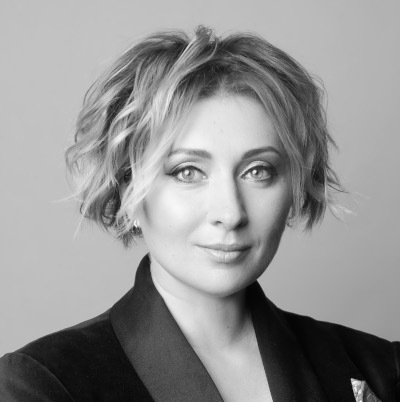 Viktoriya is the Managing Partner of the fund TA Ventures, which she founded in late 2010. TA Ventures is an international early-stage VC fund primarily focused on Mobility and Digital Health. TA Ventures co-invests with leading investors and has had the privilege to back such companies as Wunder Mobility, Caroobi, Klara, Sensely and 100+ others including Azimo, SumUp, Dreamlines. TA Ventures offers proactive support and a broad international network to its portfolio companies. By supporting them with establishing R&D centers in Ukraine and Europe, the fund helps its portfolio companies grow and stay competitive. Viktoriya leads iClub – a private investment club for angel investors which has been founded by TA Ventures. Viktoriya is also the cо-founder of WTECH – the first Ukrainian club for female tech CEOs; the Founder of CodeClub Ua the Ukrainian network of volunteer-led coding clubs for children; the President of the Odesa International Film Festival – the largest film festival in CEE by audience size; and Chairman of the Supervisory Board of the Ukrainian Film Academy.